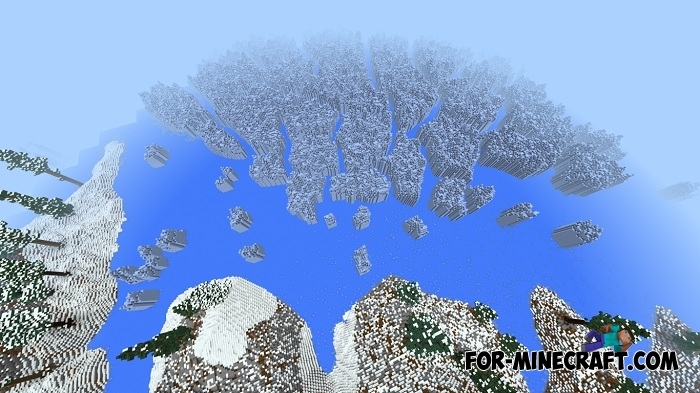 Put aside survival maps and especially the default worlds generation in Minecraft. Here is an ideal opportunity to start everything from the beginning on a beautiful and amazing territory. Don't rush to explore it as it will take you a long time to visit all the biomes and see the delightful structures. You will appear on a large continent consisting of many biomes. From space, this continent looks quite large and natural, its shape and location can not be called square and not realistic. There are different temperature zones: in the upper part of Apterra are concentrated blocks of ice and a lot of snow, this place should appeal to Arctic travelers and fans of cold. 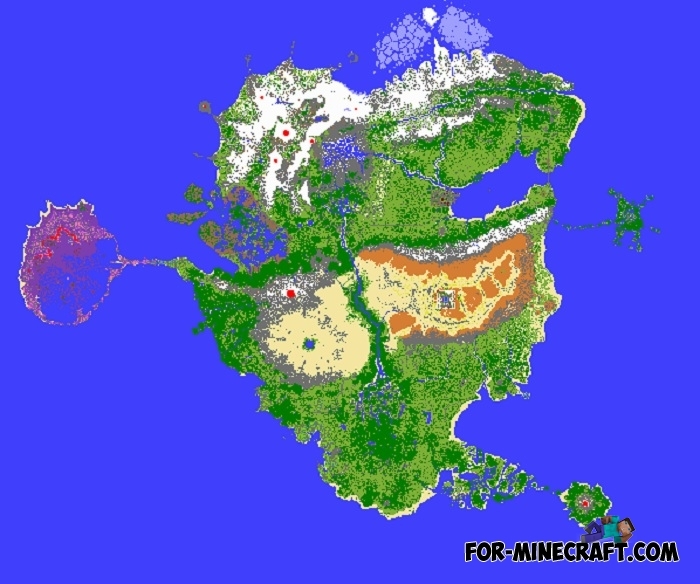 In the center of the map is a dense forest that can become an excellent source of wood and other building materials for a wooden house. Go west and get lava and very strong blocks. Apterra is a huge custom territory, its area exceeds tens of miles which means a very long journey and exciting survival. Also this place can turn into an excellent platform for the development of your industrial farm along with the Ender IO mod. Minecraft PE can be loaded longer than usual, wait a bit.